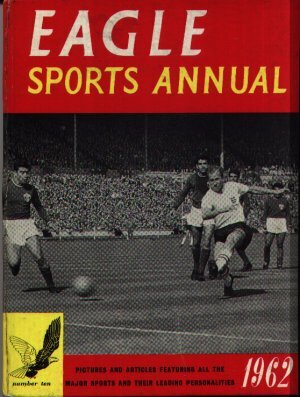 Eagle Sports Annual 1962 is introduced by Clifford Makins saying that it's ten years since the first Eagle Sports Annual. Man is in outer space and whole new worlds open up to challenge our natural urge for adventure and conquest. Stirring stuff ! Lots of "On the Spot:"